A warning from a local police department has been issued after hackers tried using the police chief's name to steal information. An email that appeared to be from Burlington Police Chief Mark Rascoe went out to his contact list. The message showed the chief's name and correct phone number and appeared to be sent from his actual email address. It also asked recipients to click a link to review and sign an important document. 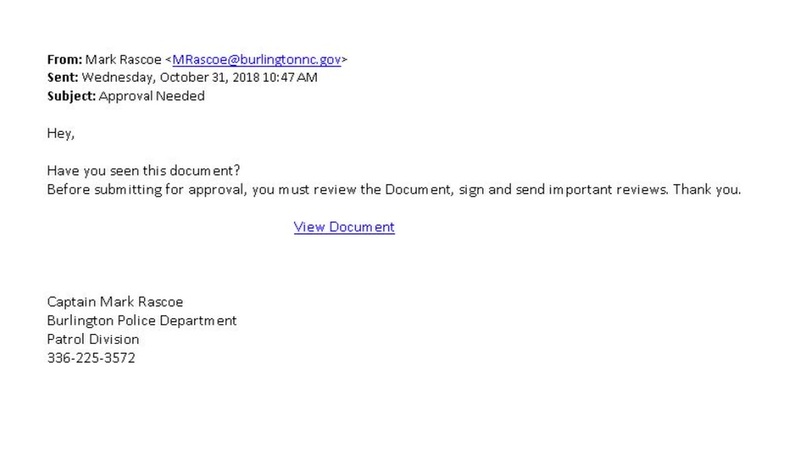 City officials said it is a phishing email that would likely download malware onto computers if the link is clicked. We filter through numerous emails a day but you shouldn't be opening up all of them! A city spokesperson said the chief's account was secured shortly after it was compromised. 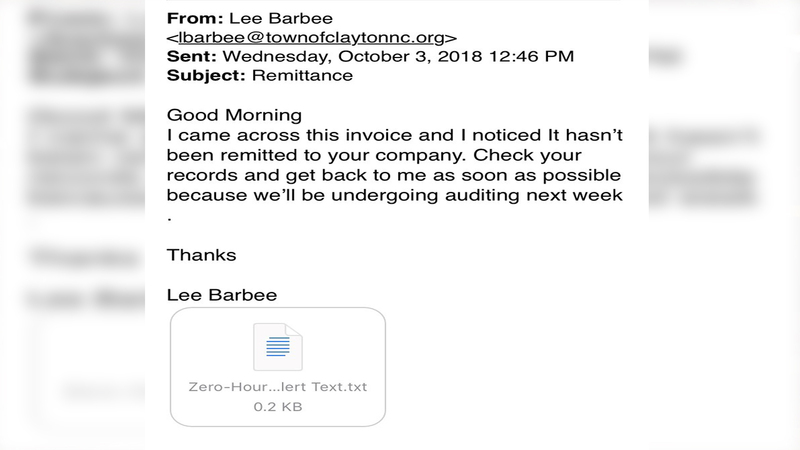 A similar email was also sent out using Clayton Fire Chief Lee Barbee's official city email address. That email included an attachment labeled as an invoice. Anyone who gets emails like these should avoid opening any attachments or clicking any links and delete them immediately.